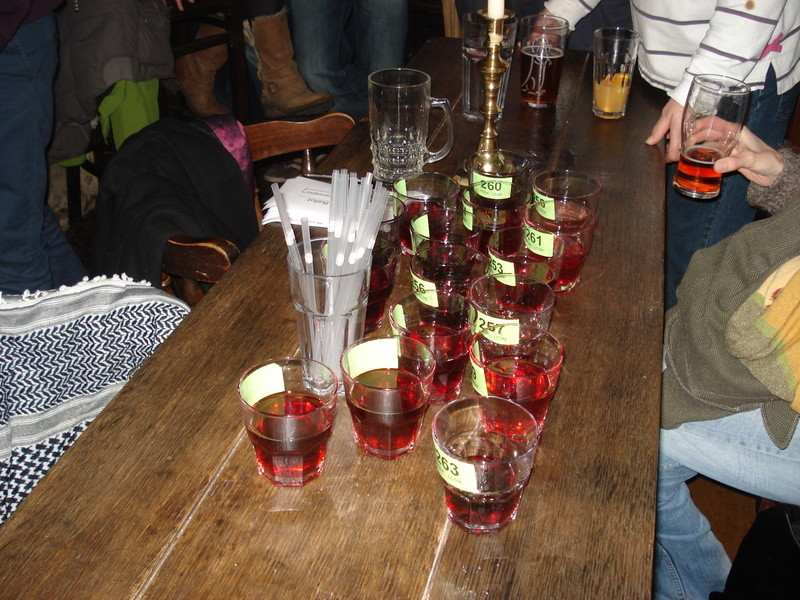 The other night we went down the local pub for the Sloe Gin Competition. Lots of local people came armed with their home-made concoctions and these were then poured into small glasses and labelled with raffle ticket numbers. 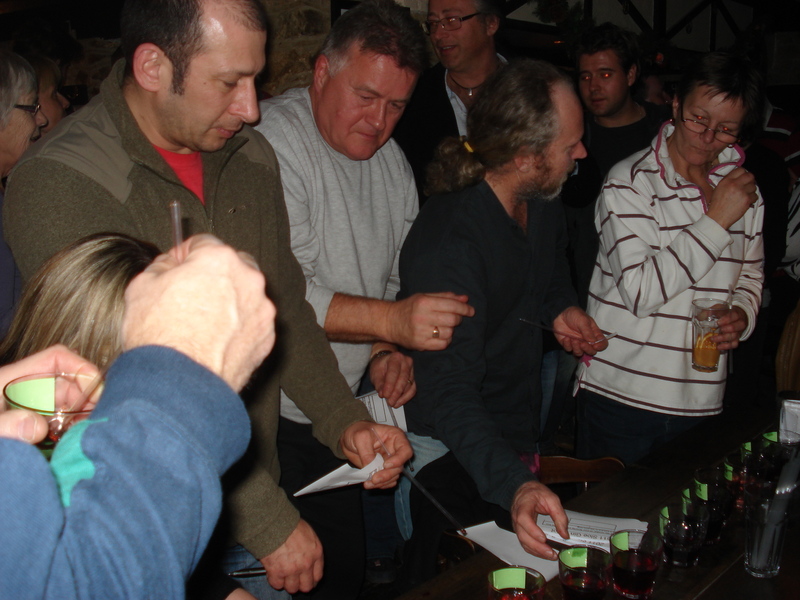 We were then given a straw and you had to take a sip from each glass and determine which sloe gin you thought was the best, and then write the number on a slip of paper. There were different categories. Ours was entered into “This Year’s Sloe Gin” which was the first category. Later there was a “Vintage Sloe Gin” category and lastly “Other things made with sloes” category. Some Sloe Gin was very dry, some was like cough mixture and some more sweet. I think it is obviously very much down to personal taste, and of course we both thought ours was the best, but we didn’t win. Nevermind, we have a full demi john of our sloe gin to make our way through, and I am sure some of that will disappear over Christmas.